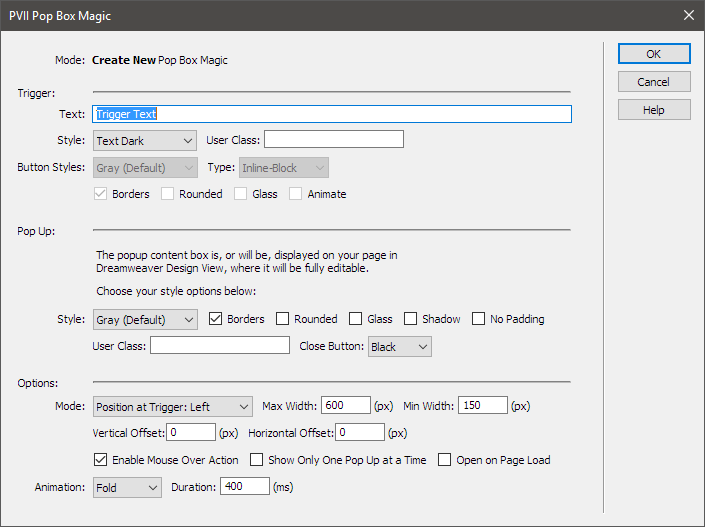 Pop Box Magic (PBX) allows you to attach a responsive popup box to any link on your page. Links can be text or images. The PBX interface allows you to style the trigger link and the popup box however you want. Pop Box Magic is the modern, responsive evolution of the classic web page tooltip... with tons more power, style, and flexibility. PBX—the responsive, modern evolution of the beloved tooltip.